Find hotel near Casselview Golf & Country .. 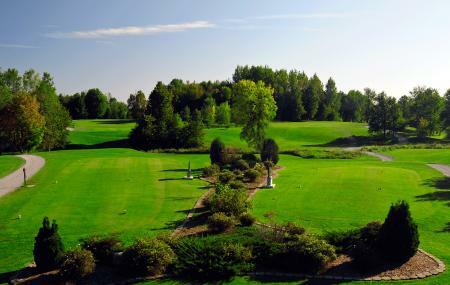 The Casselview Golf & Country Club, located at a convenient distance from Ottawa is set up on a pristine green countryside with abundance of trees, shrubbery, natural water bodies and more. The 18 hole par 72 course stretches over 6705 yards and offers a charming yet challenging course for all skill levels. The holes are strategically placed with raised or artificial front, in perfect compliment with the rolling greens and immaculate fairways with slopes and turns. Even if you are not a golfer, you can still explore the site for its unspoilt landscape of Casselview Golf & Country Club with the rolling terrain, streams, mature trees, bushes and the ponds that attract a few migratory and native birds. Overlooking the panoramic golf course, the clubhouse has two dining rooms and a banquet. Course is always in good shape but especially at this time of the year being Nov 1st, I was very impressed. Obviously a good drainage system in place. Price was also reasonable. I played Casselview Golf and Country Club for the first time May 16th 2018. I had a great time. The course is a lot of fun to play. The fairways and greens were in great shape. The people on the course were friendly and helpful. I would very much recommend this course as one to play when you are travelling in eastern Ontario. I've never been here to play golf. I have a lot of super/ conferences which take place here. Food is good and the staff are nice.